As one of the best family portrait photographers in Orange County I enjoy taking photos at different locations. This was taken at The Lab in Costa Mesa. 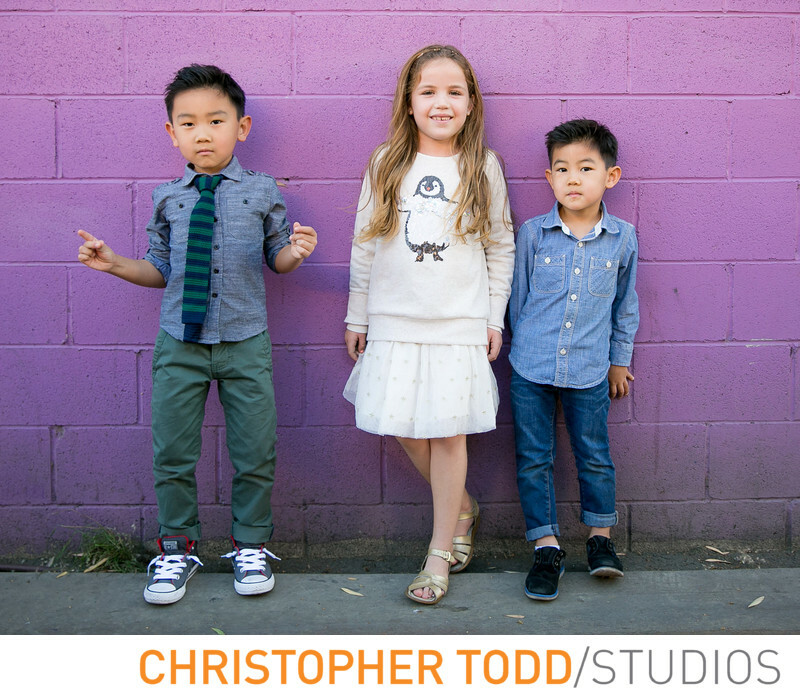 The purple brick wall that the three young kids are posing in front is perfect for a unique portrait. Families love their portrait taken in Orange County. They make perfect holiday cards or gifts to grandparents. We would love to hear from you and be your family portrait photographer. 1/320; f/2.8; ISO 250; 31.0 mm.